You pay for a one hour dog walk but not the time it takes to collect your dog and drop them home - that's included in the price of an hour's walk. The price also includes public liability insurance and pet transport insurance. Other pet services such as daily grooming, bathing, administering medication, claw trimming and pet taxi services are all available - please contact us for a quote. Prices are subject to change. Fees payable daily, weekly or monthly. Bank Holidays (inlcuding Easter, Christmas Day, Boxing Day and New Year's Day) will be charged at double the standard rate. We are licensed to board 5 dogs in my home at any one time, but usually we only have 1-2. Rest assured your dog will get the personal attention they are used to as they are treated just like one of the family, not as if they were in kennels. 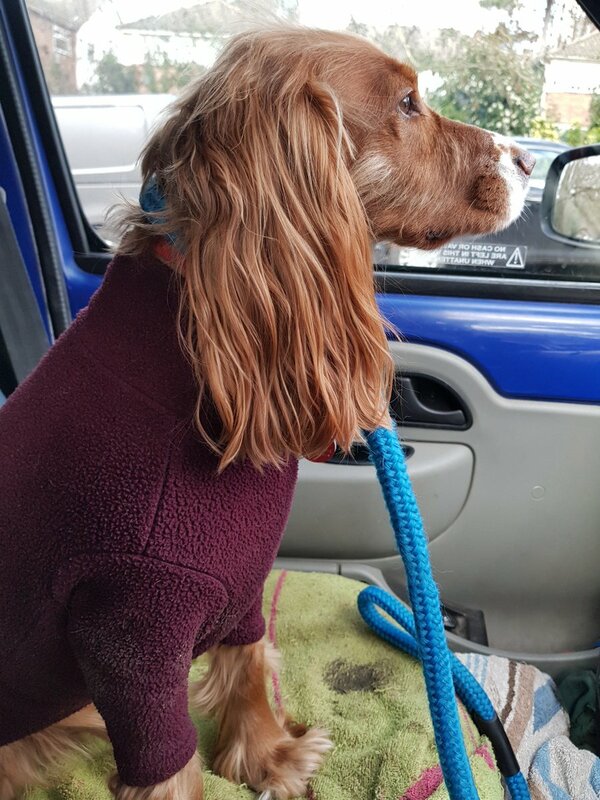 Our guests wag their tails the minute they recognise they are at our driveway although we are also happy to help nervous dogs who sometimes take a little time to adjust to new surroundings.